The cut in economic targets by the Govt reflects the challenges Malaysia faces as it balances between growth and fiscal prudence against an external backdrop of lower oil price and the US-China trade war. MoF’s 2019 GDP target of 4.9% is a Herculean task and our forecast is lower at 4.6%. Despite a flattish year for earnings in 2018 (-0.1%), growth in 2019 will remain uninspiring at 3.3%, below its post GFC CAGR of 7%. Still, we believe there are key themes to eyeball for 2019: East Malaysia, trade war opportunities, healthcare and Govt asset monetisation. 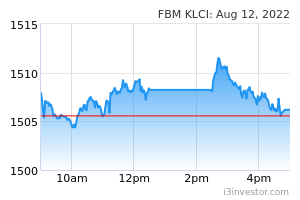 Our KLCI target of 1,750 is based on 15.5x PE (-1SD). For investment strategy, we favour stock selection as opposed to broader base sector allocation (our only OVERWEIGHT sectors are healthcare and power). Our top picks are Tenaga, RHB, Sunway, TIME, KPJ, BAuto, Edgenta, Taliworks, Frontken and FPI. DickyMe For economy to prosper, private sectors participation is utmost important. When the government is involved in business, healthy competition is absent because government regulates, hence protects it's interest. In such a lopsided environment, these companies will not perform to the optimum and consumers interest is beyond their care. This is evident in shoddy customer service, expensive and ever increasing price, bloated, redundant workforce, egotistical, uncreative management and lack of vision. The country brought mediocrity unto itself. Healthy businesses will stay away because they are defeated by unhealthy regulations and demand. VWWong Agree with DickyMe. GLCs or GSEs has always been a problem for most developing country and Japan as well. The moment government connected companies are doing business, it destroys all the innovation in that country. That is why Japan until today, hasn't come out with any big innovation that can spearhead the country's growth. Unlike USA, where government involving in business is abhor.